There are Rebel scum to be found on any planet in the galaxy—no world is too remote or inhospitable for them. 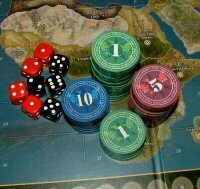 Fortunately, the legions of the Empire are ready to pursue the Rebel Alliance wherever they try to hide. 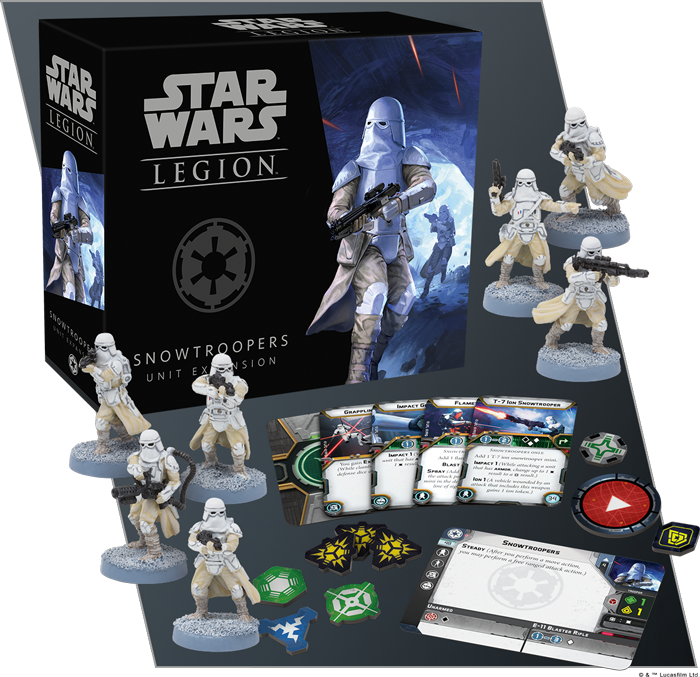 You’ll be able to begin your pursuit soon—Fantasy Flight Games is proud to announce the Snowtroopers Unit Expansion for Star Wars™: Legion! No matter how dangerous the freezing temperatures on a planet, you’ll find that your Snowtroopers are equipped to handle the killing cold with ease. Within this Unit Expansion, you’ll find seven unpainted Snowtrooper miniatures, inviting you to field these troopers as a single unit and combat the Rebellion in even the most hostile and adverse environments. Alongside these Snowtroopers, you’ll find an assortment of upgrade cards, inviting you to kit out your Snowtroopers for whatever you expect to face on the field of battle.